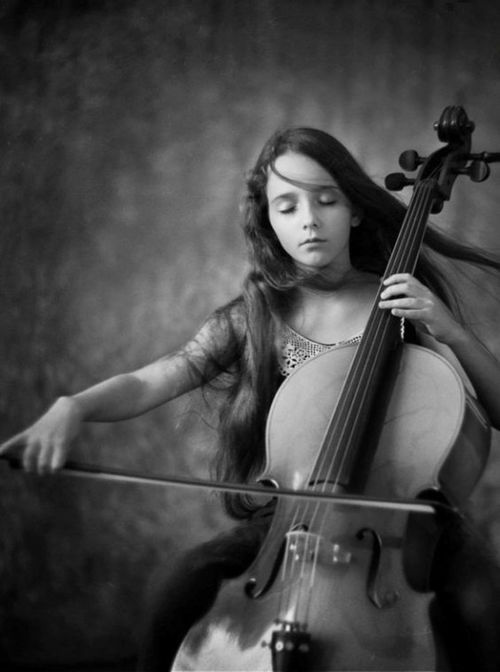 Classical music is the art music produced in, or rooted in, the traditions of Western liturgical and secular music, encompassing a broad period from roughly the 11th century to present times. The central norms of this tradition became codified between 1550 and 1900, which is known as the common practice period. It should not to be confused with the Classical Era. European music is largely distinguished from many other non-European and popular musical forms by its system of staff notation, in use since about the 16th century. Western staff notation is used by composers to prescribe to the performer the pitch, speed, meter, individual rhythms and exact execution of a piece of music. This leaves less room for practices such as improvisation and ad libitum ornamentation, that are frequently heard in non-European art music and popular music. 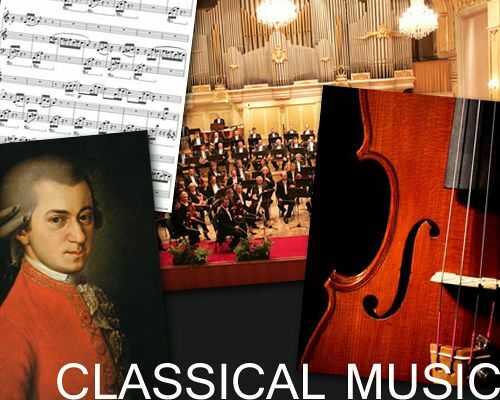 The term "classical music" did not appear until the early 19th century, in an attempt to "canonize" the period from Johann Sebastian Bach to Beethoven as a golden age The earliest reference to "classical music" recorded by the Oxford English Dictionary is from about 1836. Antonio Lucio Vivaldi, nicknamed il Prete Rosso ("The Red Priest"), was a Venetian priest and Baroque music composer, as well as a famous virtuoso violinist; he was born and raised in the Republic of Venice. 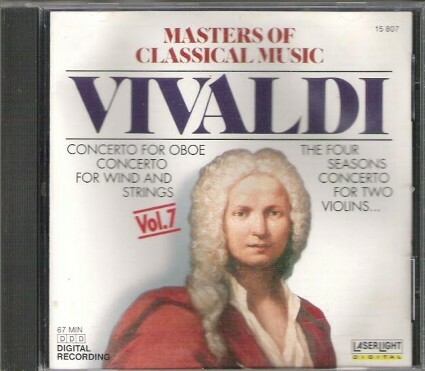 The Four Seasons, a series of four violin concerti, is his best-known work and a highly popular Baroque piece. 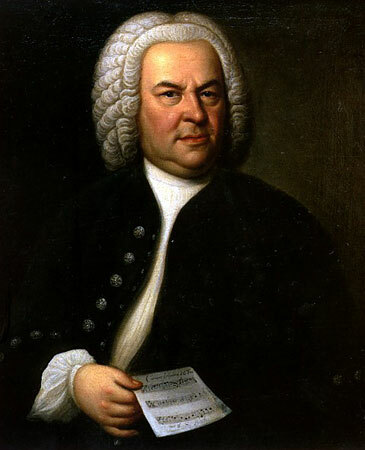 Johann Sebastian Bach was born on March 21, 1685, in Eisenach, Thuringia, Germany, into a large and distinguished family of professional musicians. His father, named Johann Ambrosius Bach, was a violinist and trumpeter, employed by the city of Eisenach. His uncles were church organists, court musicians and composers. His mother and father died before Bach was 10. As an orphan, he moved in with his eldest brother, J. C. Bach, an organist and composer, under whose tutelage Bach studied organ music as well as the construction and maintenance of the organ. One of the greatest composers of the late baroque period (1700-1750) and, during his lifetime, perhaps the most internationally famous of all musicians. 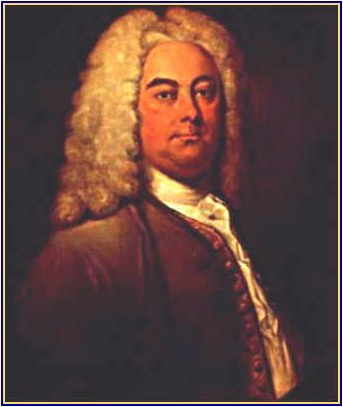 Handel was born February 24, 1685, in Halle, Germany, to a family of no musical distinction. His own musical talent, however, manifested itself so clearly that before his tenth birthday he began to receive, from a local organist, the only formal musical instruction he would ever have. Although his first job, beginning just after his 17th birthday, was as church organist in Halle, Handel's musical predilections lay elsewhere. Thus, in 1703 he traveled to Hamburg, the operatic center of Germany; here, in 1704, he composed his own first opera, Almira, which achieved great success the following year. Once again, however, Handel soon felt the urge to move on, and his inclinations led him to Italy, the birthplace of operatic style. He stopped first at Florence in the autumn of 1706. Wolfgang Amadeus Mozart was an Austrian composer (a writer of music) whose mastery of the whole range of contemporary (modern) instrumental and vocal forms—including the symphony, concerto, chamber music, and especially the opera—was unchallenged in his own time and perhaps in any other. Composer Ludwig van Beethoven was baptized Dec. 17, 1770, in Bonn, Germany. He was an innovator, widening the scope of sonata, symphony, concerto, and quartet, and combining vocals and instruments in a new way. 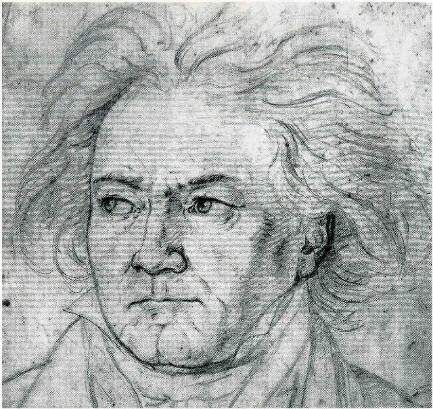 His personal life was marked by a struggle against deafness, and some of his most important works were composed during the last 10 years of his life, when he was quite unable to hear. Gioacchino Antonio Rossini (February 29, 1792 - November 13, 1868) was an Italian musical composer who wrote more than 30 operas as well as sacred music and chamber music. His best known works include Il Barbiere di Siviglia (The Barber of Seville), and 'Guillaume Tell' William Tell (the overture of which is popularly known for being the theme song for The Lone Ranger). 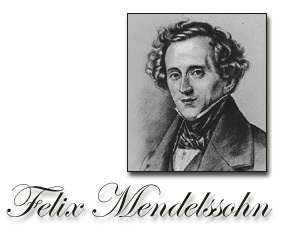 Felix Mendelssohn is regarded by classical music aficionados and critics alike, as one of the most prolific and gifted composers the world has ever known. Even those who could not name any of his works have heard it, as his "Wedding March" from "A Midsummer Night's Dream", which has accompanied many a bride down the aisle. Whether he was born with his incredible talent or was the product of an artistically and intellectually-inclined family will remain a mystery, but like all prodigies, Mendelssohn showed signs of true genius from childhood. 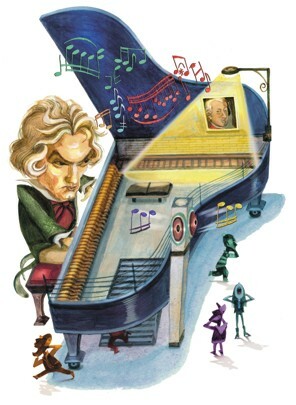 Regarded by some critics as the 19th century equivalent of Wolfgang Amadeus Mozart, and others as a great composer who's contribution would have been greater, had his life been marred with more hardships, everyone should agree that he deserves his place amongst the best, and most influential. Frédéric François Chopin ( /? ?o?pæn/; French pronunciation: [f?e.de. ?ik ??.p?? 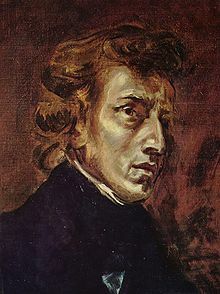 ]; Polish: Fryderyk Franciszek Chopin; 22 February or 1 March 1810 – 17 October 1849) was a Polish composer and virtuoso pianist. He is considered one of the great masters of Romantic music and has been called "the poet of the piano". Chopin was born in Velazowa Wola, a village in the Duchy of Warsaw. His mother was Polish, and his father was a French immigrant to Poland. A renowned child-prodigy pianist and composer, Chopin grew up in Warsaw and completed his musical education there. Following the Russian suppression of the Polish November 1830 Uprising, he settled in Paris as part of the Great Emigration and never returned to his homeland. 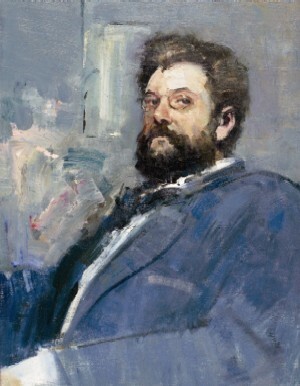 During the remaining 19 years of his life, he gave only some 30 public performances, preferring the more intimate atmosphere of the salon; he supported himself by sales of his compositions and as a piano teacher. The vast majority of Chopin's works are for solo piano, though he also wrote two piano concertos, a few chamber pieces and some songs to Polish texts. His piano works are often technically demanding, with an emphasis on nuance and expressive depth. Chopin invented the instrumental ballade and made major innovations to the piano sonata, mazurka, waltz, nocturne, polonaise, étude, impromptu, scherzo and prélude. 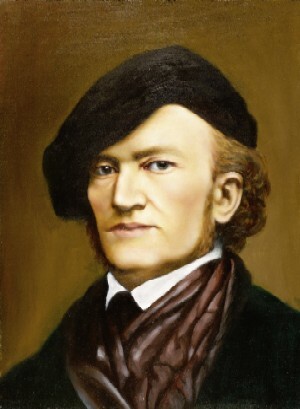 Wilhelm Richard Wagner (22nd May 1813–13th February 1883) was an influential German composer, conductor, music theorist, and essayist, primarily known for his operas (or “music dramas” as he later came to call them). His compositions, particularly those of his later period, are notable for their contrapuntal texture, rich harmonies and orchestration, and elaborate use of leitmotifs: themes associated with specific characters, locales, or plot elements. Wagner’s chromatic musical language prefigured later developments in European classical music, including extreme chromaticism and atonality. He transformed musical thought through his idea of Gesamtkunstwerk (“total art-work”), epitomized by his monumental four-opera cycle Der Ring des Nibelungen (1876). His concept of leitmotif and integrated musical expression was also a strong influence on many 20th century film scores. Giuseppe Verdi was born Giuseppe Fortunino Francesco Verdi on October 10, 1813, in Le Roncole di Busseto, Parma, Italy. His parents were landowners and innkeepers. Young Verdi received his first organ lessons at the age of 7. He studied composition privately with Ferdinando Provesi in Busseto. At age 20 he moved to Milan to continue his studies, but the Conservatory of Music rejected him. 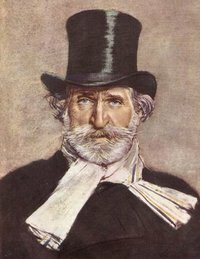 Verdi took private lessons and associated with Milan's cultural milieu in his pursuit of a musical career. He was patronized by Antonio Barezzi, a merchant, whose daughter, Margherita, was Verdi's student and later became his wife. His first opera, Oberto (1839), was a successful production by Milan's Theatro La Scala. While Verdi continued working on his second opera, his wife and two children died. The second opera failed, and he suffered a depression and vowed to quit musical career. La Scala impresario, Merelli, persuaded him to write a third opera. Nabucco (1842) made Verdi famous. He followed the Bel Canto style of Gaetano Donizetti and Vincenzo Bellini. Verdi's best operas were based on plays by Victor Hugo, such as 'Ernani' (1844) and 'Rigoletto' (1851). In 1853 Verdi 's masterpiece 'La Traviata' was produced in Venice. Johann Strauss, Jr. is the first truly well-known composer in those classical genres particular to his hometown, the Viennese waltz and Viennese operetta. The Blue Danube Waltz is not only the most popular of his works in the former category, but is among the most widely played and arranged pieces of its time, known to the most casual listener today from many radio, film and television uses of it. 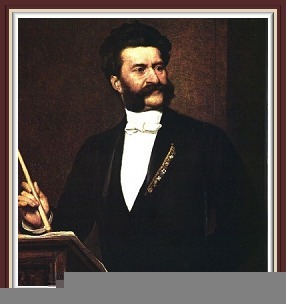 Johann Strauss, Jr. was born in Vienna on October 25, 1825. He showed remarkable skills early in his childhood, despite his father's opposition to any career in music for any of his three sons. Johann, Sr. wanted him to become a banker, but the younger Strauss had his own ideas, taking violin lessons in secret from a player in his father's band. When Strauss was 17 his father left the family, thus allowing him to begin serious study without encumbrance. His mother, a good amateur violinist who had always encouraged him, remained supportive. His real success began in 1849 after Johann Strauss, Sr. died. Johann, Jr. merged his father's orchestra with his own and took up his father's contracts. His career moved along smoothly for the next several years, but in 1853 he became seriously ill and turned over conducting duties to his younger brother, Josef, for six months. After his recovery he resumed fully both his conducting and his composing activities, eventually gaining the respect of such composers as Brahms, Wagner, and Verdi for his seemingly unlimited imagination for using melodies. During his teenage years, Brahms had long fair hair, stunning blue eyes, slender body, and a high voice; he could easily be mistaken for a girl. Brahms was given an honorable grave site next to Beethoven and Schubert; two composers he greatly admired. Brahms never married, but loved many women; so much to the point, that he had to deny one woman piano lessons, because he was greatly attracted to her. The composer, conductor and music critic, Hans von Bülow, used the phrase "The Three B's" to describe three of the world's greatest composers, namely Brahms, Beethoven and Bach. Brahms was a pianist, composer, conductor and teacher. He became musical director at the German court of Lippe-Detmold from 1857 to 1859. He then became director of the Vienna Singakademie from 1863 to 1864. In 1872, he became musical director of the Society of the Friends of Music. Georges Bizet is considered to be a great French opera composer. Both of his parents were professional musicians. Georges' mother was a pianist. Georges' father was a composer and a singing teacher and gave Georges his first music lessons at the age of 4. Georges' talent for music was displayed early in his childhood. When Georges was 9, he entered the Paris Conservatory of Music. He studied harmony and composition and took lessons on the piano and the organ. He was considered a master of the piano at age 14, won a First Prize for piano, and was encouraged to write compositions for the piano. He wrote "Jeux d'enfants," a suite for piano featuring four hands (two people playing the same piano), as well as 150 other compositions for the piano. He won several awards while at the conservatory: the Offenbach First Prize for comic opera and also the Grand Prix de Rome in 1857. Pytor Tchaikovsky was a Russian composer best known for his popular ballets Swan Lake, The Sleeping Beauty and The Nutcracker. 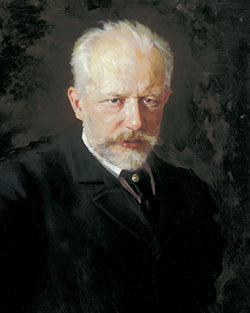 Born into a middle-class family, Tchaikovsky was educated for a career as a civil servant but pursued his musical wishes against his family's wishes. Tchaikovsky died at age 53. (born May 7, 1840, Votkinsk, Russia—died Nov. 6, 1893, St. Petersburg) Russian composer. Sensitive and interested in music from his early childhood, Tchaikovsky turned to serious composition at age 14. In 1862 he began studying at the new St. Petersburg Conservatory; from 1866 he taught at the Moscow Conservatory. His Piano Concerto No. 1 (1875) was premiered in Boston and became immensely popular. He wrote his first ballet, Swan Lake (first performed 1877), on commission from the Bolshoi Ballet. In 1877 he received a commission from the wealthy Nadezhda von Meck (1831–94), who became his patron and longtime correspondent. The opera Eugene Onegin (1878) soon followed. Though homosexual, he married briefly; after three disastrous months of marriage, he attempted suicide. His composition was overshadowed by his personal crisis for years. 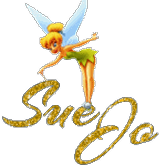 His second ballet, Sleeping Beauty (1889), was followed by the opera The Queen of Spades (1890) and the great ballet The Nutcracker (1892). The Pathétique Symphony (1893) premiered four days before his death from cholera; claims that he was forced to commit suicide by noblemen outraged by his sexual liaisons are unfounded. He revolutionized the ballet genre by transforming it from a grand decorative gesture into a staged musical drama. His music has always had great popular appeal because of its tuneful, poignant melodies, impressive harmonies, and colourful, picturesque orchestration. Antonín Leopold Dvo?ák (/d??v??r.?? ?k, -?æk/ d-VOR-zha(h)k; Czech: [?anto?i?n ?l?opolt ?dvor?a?k]; 8 September 1841 – 1 May 1904) was a Czech composer. After Bed?ich Smetana, he was the second Czech composer to achieve worldwide recognition. Following Smetana's nationalist example, Dvo?ák frequently employed aspects, specifically rhythms, of the folk music of Moravia and his native Bohemia. Dvo?ák’s own style has been described as ‘the fullest recreation of a national idiom with that of the symphonic tradition, absorbing folk influences and finding effective ways of using them’. Dvo?ák displayed his musical gifts at an early age, being an apt violin student from age six. The first public performances of his works were in Prague in 1872 and, with special success, in 1873, when he was age 31. Seeking recognition beyond the Prague area, he first submitted a score of his First Symphony to a prize competition in Germany, but he did not win, and the manuscript, not returned, was lost until rediscovered many decades later. Then in 1874 he first made a submission for the Austrian State Prize for Composition, including scores of two further symphonies and other works. Brahms, unbeknownst to Dvo?ák, was the leading member of the jury and was highly impressed. 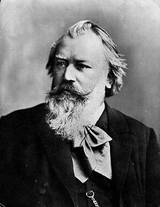 The prize was awarded to Dvo?ák for 1874[a] and again in 1876 and in 1877, when Brahms and the prominent critic Eduard Hanslick, also a member of the jury, made themselves known to him. Brahms recommended Dvo?ák to his publisher, Simrock, who soon afterward commissioned what became the Slavonic Dances, Op. 46. These were highly praised by the Berlin music critic Louis Ehlert in 1878, the sheet music (of the original piano 4-hands version) had excellent sales, and Dvo?ák’s international reputation at last was launched. Edvard Hagerup Grieg (Norwegian: [ ??d??? ?h??? ?r?p ??r?? ]; 15 June 1843 – 4 September 1907) was a Norwegian composer and pianist. He is widely considered one of the leading Romantic era composers, and his music is part of the standard classical repertoire worldwide. His use and development of Norwegian folk music in his own compositions put the music of Norway in the international spectrum, as well as helping to develop a national identity, much as Jean Sibelius and Antonín Dvo?ák did in Finland and Bohemia, respectively.Grieg is regarded as simultaneously nationalistic and cosmopolitan in his orientation, for although born in Bergen and buried there, he traveled widely throughout Europe, and considered his music to express both the beauty of Norwegian rural life and the culture of Europe as a whole. He is the most celebrated person from the city of Bergen, with numerous statues depicting his image, and many cultural entities named after him: the city's largest concert building (Grieg Hall), its most advanced music school (Grieg Academy), its professional choir (Edvard Grieg Kor), and even some private companies that include its largest hotel (Quality Hotel Edvard Grieg), and a music technology developer (Grieg Music). The Edvard Grieg Museum in Troldhaugen (Grieg's former home in Bergen) is dedicated to his legacy. ALL INFORMATION HAS BEEN LINKED TO THE ORIGINAL SOURCE. PLEASE CLICK THE LINKS.